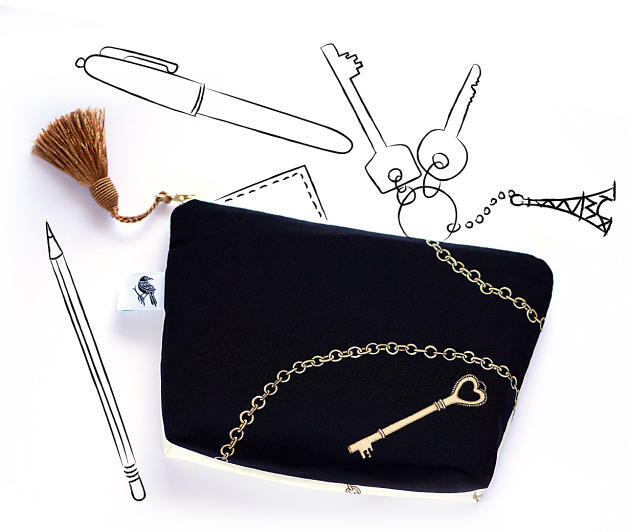 Silk Pouch reinforced with light volume interlining, with a brass metallic zipper, decorated with a large pompom. Hand drawn in France and printed in Switzerland. Made by hand in France. "Down, down, down. There was nothing else to do, so Alice soon began talking again. "Dinah'll miss me very much to-night, I should think!" (Dinah was the cat.) "I hope they'll remember her saucer of milk at tea-time. Dinah, my dear! I wish you were down here with me! There are no mice in the air, I'm afraid, but you might catch a bat, and that's very like a mouse, you know. But do cats eat bats, I wonder?" And here Alice began to get rather sleepy, and went on saying to herself, in a dreamy sort of way, "Do cats eat bats? Do cats eat bats?" and sometimes, "Do bats eat cats?" for, you see, as she couldn't answer either question, it didn't much matter which way she put it. She felt that she was dozing off, and had just begun to dream that she was walking hand in hand with Dinah, and was saying to her very earnestly, "Now, Dinah, tell me the truth: did you ever eat a bat?" when suddenly, thump! thump! down she came upon a heap of sticks and dry leaves, and the fall was over." "Alice's adventures in wonderland" by Lewis Carroll. London, Macmillan and Co. 1866. 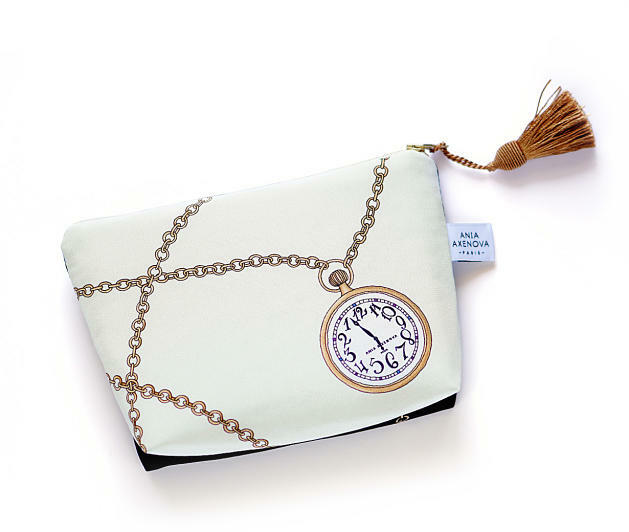 Pouch 100% Silk, fleece inside Vlieseline H630, lined with fine white 100% cotton jacquard. 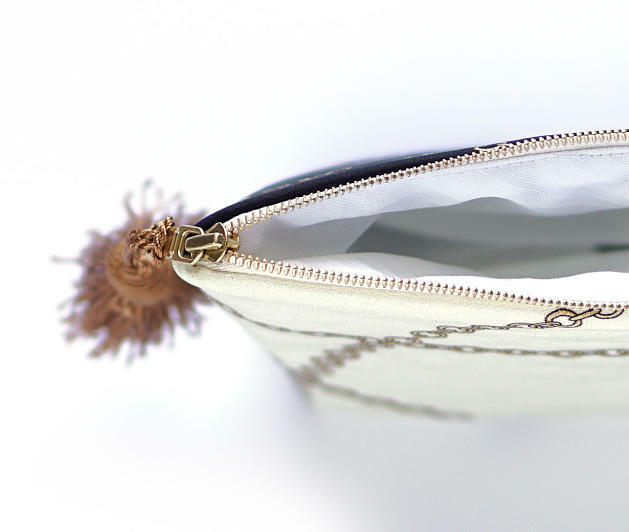 Fine brass metallic zipper, decorated with a large tassel. All designs are drawn by hand. They are printed in Switzerland on a high quality 100% Silk Crêpe de Chine, then sewn in France by me, in my small studio in Nice. 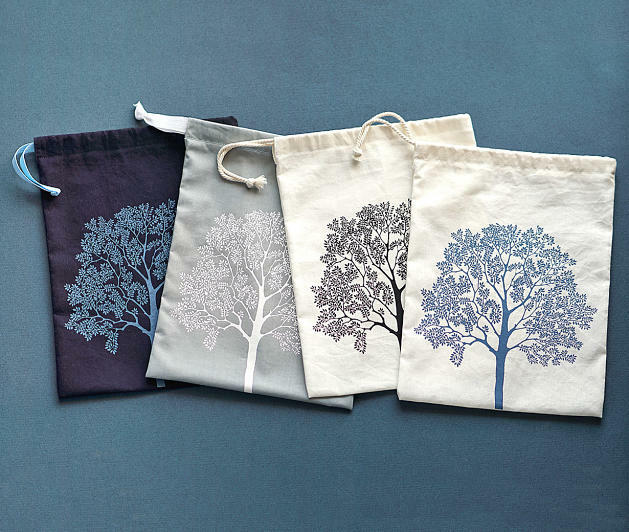 Each pouch is accompanied by its small cotton bag, screen printed by hand. – "Alice" – golden tassel OR light yellow tassel. 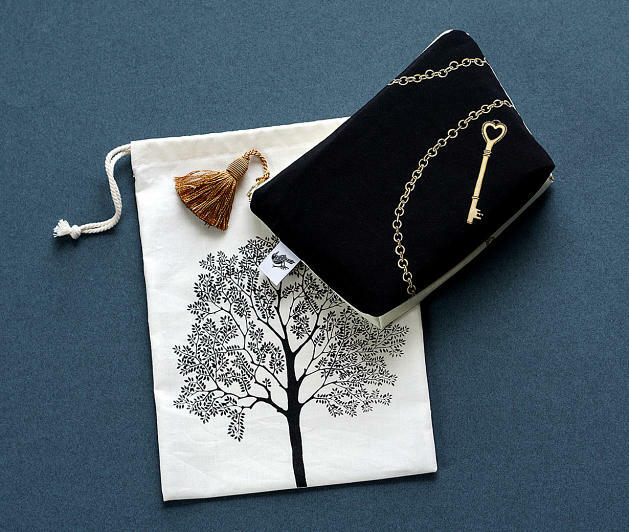 Your Pouch will be shipped within 1 to 3 working days, so that we can give maximum care to the preparation of your order. Dry cleaning or gentle washing by hand. It is recommended to remove the pompon before washing, or to protect it from water.